Ice Pilots NWT is a real-life docu-series about an unorthodox airline in the Canadian North. Yellowknife-based Buffalo Airways flies WWII-era propeller planes – big old aircraft built by "Rosie the Riveter" that have remained virtually unchanged over the years. Rookie pilots defy bone-chilling temperatures to fly cargo and passengers through blizzards, breakdowns and transatlantic journeys. It's an impossible job in a merciless place. Season 6, Episode 8 - "D-Day"
The Buffalo boys gather in Red Deer for Mikey's D-Day tribute jump. Joe and Sam scout out the designated military drop zone over Abraham Lake in the Rockies only to discover the canyon is too narrow for the DC-3. So Joe cancels the whole thing—it's too dangerous. Mikey uses Joe's own philosophy against him: at Buffalo, there's always a backup plan. Joe flies out to scout a new location for the drop on the lake but hits bad weather. As Joe is about to scrap the trip, twenty paratroopers from the Canadian and American armies arrive for the big jump and are ready to go. They board WZS and Joe takes off to a site he hasn't scouted, in weather that just keeps getting worse. As they near the drop point, he finally calls it—no jump tonight. They turn back, with all the troops still on board. Mikey's only hope is a narrow window first thing the next morning—but only if Joe gives the final okay. Season 6, Episode 7 - "Dogfight"
Mikey shows a veteran Buffalo's DC-3, WZS, Buffalo's very own vintage plane from the Second World War. It is being fitted with a special ‘static' line, which paratroopers will clip onto for a D-Day reenactment jump. But army inspectors tell Mikey a modern military needs a modern line with a winch system in case they need to retrieve a "hung-up jumper". Cory and Mikey scramble to build the retrieval line before the inspector comes back to test it. But with their bumbling and fumbling, it doesn't look like they will make the cut. Meanwhile, Chris Staples and some of Buffalo's pilots head down to Fullerton, California, to Air Combat USA, where pilots get to experience aerial dogfights in real fighter planes. The pilots do yo-yos, spins and pull Gs to out-maneuver their opponent. First up in the dogfights are newly checked-out co-pilot Sam Storm versus longtime co-pilot David Alexandre. Sam wins the fight due to David's inability to hold down his breakfast. Next up is cocky co-pilot Chris Staples versus his C-46 captain Devan Brooks. But Devan's many years in DC-3s and C-46s have left him unprepared for the video game pace of dogfighting and he quickly loses 3-0. Finally, the two top guns return to the sky. Sam scores first, but Chris is not about to get beaten. Season 6, Episode 6 - "Big Plans, Bad Luck"
Mikey talks to a 15-year-old aviation buff in England via Skype, who has discovered that Buffalo's DC3–WZS–flew on D-Day. This inspires Mikey to do something special for the 70th anniversary. He invites Cory to do a tandem parachute jump and finds out that Cory's grandfather was a paratrooper at the invasion of Normandy. Meanwhile, Mikey takes mercy on Prefkar, working the ramp in Hay River, and offers him a chance for some pilot training on the morning DC-3 freighter. But when the time comes, Prefkar learns that he's been bumped for pilot David Alexandre. It gets worse for Prefkar when he's given another chance and this time the fog rolls in. Prefkar might not stick it out at Buffalo. Mikey's D-Day plans get even bigger when he contacts the Princess Patricia Canadian Light Infantry, who were part of the Allied airborne forces that dropped behind German lines in 1944. He pitches his plan—a reenactment jump from WZS, an actual D-Day plane. But there's a hitch: the plane needs to pass inspection, and Mikey needs to lose weight to make the cut for tandem jumping. Mikey tries everything he can think of—from juicing, working out with Dan at the gym and even sweating it out in spin class. Cory and Mikey go over what they need to refit DC-3 WZS for a static line jump. Cory is sent on a scavenger hunt for parts in Red Deer and finds a brand-new bracket from the 1940s—but they still need to find the missing rear bracket, and nobody even knows what it looks like. Season 6, Episode 5 - "Second Chances"
Newly minted copilot Jeff Tapper is excited for his first revenue DC-3, but his inexperience shows when he botches the approach and bounces the landing three times, nearly running off the runway. Meanwhile, for new rampie Prefkar Mony to realize his dream of becoming a DC-3 pilot, he needs to first pass the written IATRA test. He's been studying for months, but on his first attempt, he fails. With the help of pilot/mechanic Chris Staples, Prefkar retakes the test and passes, but his victory celebration is short-lived when he's blamed for leaving an expensive shipment of medicine marked "Do Not Freeze" in a courier van during a minus 30 weekend. Later, Mikey and Katie decide to find Joe a new dog and choose Muffy, a three-year-old dog from the SPCA who is ready to leave her pups. They bring her back to the hangar for a test drive. Joe brings DC-3 CUE out of retirement to test fly the plane for Buffalo's summer sked duty and he brings along Jeff—and Muffy—to see if they're Buffalo material. Season 6, Episode 4 - "Checkflight"
Buffalo Joe has been a captain on the daily sked for 34 years and his 70th birthday is next week. Joe might have to stop flying if he doesn't pass his medical and that could spell the end of Buffalo. Before Joe leaves to undergo five days of medical tests at the Mayo Clinic in Phoenix, Arizona, he calls two rampies, Sam Storm and Jeff Tapper, into his office to greenlight their DC-3 checkflights. Both Jeff and Sam have slogged away for eight months waiting for this chance. But on flight day, Sam is sick to his stomach from eating bad eggs the night before. Sam is not about to let a bad egg beat him and he helps Jeff prep DC-3, LFR. Just before takeoff, nausea wins—Sam has no choice but to back out and there's no telling when he'll get another chance. Jeff, on the other hand, has to overcome the jitters that have haunted him ever since he was in a crash landing earlier in the year. Mikey, Rod and his family prepare to greet Joe with a birthday cake shaped like a DC-3. At the last minute, Mikey gets a call that Joe isn't coming back today; instead he's decided to celebrate his own way—going for a ride in a classic 1940 Boeing Stearman biplane. Season 6, Episode 3 - "Old Dogs"
When Buffalo's newest Electra, ZFE, lands in Yellowknife with only three functioning engines, mechanic Chuck Adams comes to the rescue to replace a brand-new ,000 regulator on engine number three. It's been slow for the airline and delivering a load of building supplies to the RCMP up in Ulukhaktok, NWT, might help keep Buffalo in the air. Spurred by a recent crash landing and two engine fires, an audit team from Transport Canada descends on Buffalo Airways. With their long and tumultuous history with Joe, they demand that Buffalo appoint a new "Accountable Executive" within 72 hours, or risk being shut down. But Joe isn't about to hand over the keys to the kingdom—not even to Rod, his oldest son. Mikey worries that if they don't meet the deadline, Buffalo Airways could become Buffalo Spare Parts. Transport Canada isn't the only thing on Joe's mind; it's becoming apparent that Joe's 16-year-old rescue dog, Sophie, is on her last legs. One morning Joe finds Sophie lying under a plane, unable to stand up. Joe realizes that her time has come—he calls the vet. Season 6, Episode 2 - "Ice Storm"
Chief Pilot AJ Decoste is flying up the Mackenzie Valley with Buffalo's newest Electra, XFC, for the first time. Mechanic Cory Dodd is along for the ride to do some training as a Flight Engineer. They try to make their deliveries before a storm rolls in but when they land in Norman Wells, they are faced with gale force winds. When their takeoff is delayed by two incoming planes, AJ is forced to shut down and wait out the storm in Norman Wells. Later, on their approach to Tulita, they face even stronger winds gusting over 40 knots. Over in Hay River, things go from bad to worse when a warm weather system brings the threat of a rare ice storm. Two daily skeds arrive from Yellowknife and the rampies have to batten down the DC-3s in preparation for a long, rough night—the worst storm in fifty years. And the newest rampie, CJ Asaf, just can't seem to fit in. Rampie Prefkar is tasked with training CJ on the Hay River delivery route, but Prefkar can't handle CJ or his attitude. Season 6, Episode 1 - "A Ball O'Snags"
Season 5, Episode 13 - "Five Seasons"
Season 5, Episode 12 - "Air Show"
Season 5, Episode 11 - "Target Practice"
Season 5, Episode 10 - "Breakdown"
Season 5, Episode 9 - "Power Crash"
Season 5, Episode 8 - "Frozen Solid"
Season 5, Episode 7 - "Ice Camp"
Mikey joins the Canadian Rangers for an extreme outdoor training experience farther north than he's ever been. While he's gone, a military Aurora takes refuge in Buffalo's hangar for important repairs – pushing Buffalo's own mechanics out into the bitter cold. What should be a simple fix turns into a multi-day ordeal and the Air Force has to go head-to-head with Chuck. Joe flies to California to bid on a fleet of firefighting planes that could revolutionize his company. But he discovers he has tougher competition than he ever expected. Season 5, Episode 6 - "Rock Stars and Rampies"
Joe's stress over the state of his water bombers, currently being stored in Wales, sparks an angry blow up with Cory, pushing Cory and Rod to head to the UK for urgent repairs. A day of culture in London leaves the hosers cold until they hook up with their British host, Iron Maiden's Bruce Dickinson. But at Bruce's Welsh facility they run into snags that threaten the work. David flies with Devan in the C-46, hoping to show how much he's learned. But when David badly botches a takeoff, Devan threatens violence. Instead of flying, hotshot Aussie Will gets stuck working on the ramp in Hay River, pushing him to a harsh ultimatum. Season 5, Episode 5 - "Aussie Ace"
Season 5, Episode 4 - "Gear Lock"
Season 5, Episode 3 - "Snowplane"
Season 5, Episode 2 - "Shootout"
Season 5, Episode 1 - "Cold Start"
Season 4, Episode 13 - "Turkey or Bust"
Season 4, Episode 12 - "Sunk"
Joe and Mikey hire a helicopter for a salvage mission to retrieve the rare tailpiece from a Lockheed 10A that crashed in the Yellowknife woods forty years ago. It's a personal quest for Joe; he flew that plane at the beginning of his career. Justin and Cory battle severe icing that threatens to send them plummeting into the frigid North Atlantic on the longest ocean leg of their CL-215 water bomber journey to Turkey. Season 4, Episode 11 - "North Atlantic Convoy"
Season 4, Episode 10 - "Meltdown"
As spring arrives and Ray's retirement day approaches, Sean surprises everyone by leaving Buffalo for a job with the competition. So Buffalo brings in Electra pilot Brian Harrison to finish the contract. But as ice strip conditions deteriorate, each flight is riskier than the last. When Buffalo gets the news of former chief pilot Arnie Schreder's passing, Justin flies a DC3 to pick up Arnie's family in Kelowna and brings them back to Yellowknife for a special memorial remembering the aviation legend. Season 4, Episode 9 - "Water Wings"
In South Korea, Cory and Justin meet the ship delivering Buffalo's water bomber plane to new buyers there. But the boys are frustrated by the buyers' poor planning. Tempers flare when they try to get the plane off the ship and delivered to its final destination. After taking part in a military paratrooper jump, Mikey brings in fashion model Kate Eaton to join his team for the Frostbite 45 snowshoe marathon. Season 4, Episode 8 - "Over Seas"
Season 4, Episode 7 - "For Sale By Owner"
Season 4, Episode 6 - "Crash Landing"
Just months from retiring, Electra captain Ray Weber leads his crew on a multi trip mission that requires landing on a rough ice strip on a remote lake. The ice strip landing goes fine, but when the plane takes off from the strip, the right landing gear gets stuck in the wheel well. Ray and his crew try to get the wheel down but to no avail, and are forced to perform an emergency landing that they'll never forget. Season 4, Episode 5 - "A Very Buffalo Christmas"
Season 4, Episode 4 - "Ice Jam"
Season 4, Episode 3 - "A Tale of Two Pilots"
Weighed down by the responsibility of training a new rampie, and struggling to get out of Joe's doghouse, DC3 co-pilot Tyler gets a once in a lifetime opportunity to stunt fly in his Cessna 180 for a visiting film crew. Meanwhile another Buffalo co-pilot, Andrew, is up for a job with Cathay Pacific Airlines. The last time a pilot left, Joe took it personally. How will he react to the news that Andrew might be leaving? Season 4, Episode 2 - "Shut Down"
Canadian Prime Minister Stephen Harper visits Buffalo Airways; Joe clashes with inspectors; the Electra crew flies to Sachs Harbour for a meaty assignment. Season 4, Episode 1 - "Dark Skies"
Joe performs stunt landings for a film crew; new employee Ryan tries to prove his worth in Hay River; a dental hygienist gets thrown into the hot seat. Season 3, Episode 13 - "Coming Home"
Rookie waterbomber pilot Scott gets his first taste of action when Buffalo responds to an emergency callout to fight fires in Alberta. Mikey and Rod think they hit the jackpot when they buy a million dollar firefighting plane on eBay at a bargain price. Joe marks his 50 years of flying by returning to the place he grew up in his historic Norseman. And Arnie shows up in Yellowknife to cheer on daughter Caitlin in a cancer fundraiser. Season 3, Episode 12 - "Expect the Unexpected"
Season 3, Episode 11 - "Ice Strip"
Season 3, Episode 10 - "The Doghouse"
Season 3, Episode 9 - "Push Comes to Shove"
Trying to make his mark at Buffalo, Duane lands two more Electra contracts. But his over-zealous efforts result in a clash with the crew and with Joe, and a down-to-the-wire midnight departure to meet a deadline. Rookie DC-3 co-pilot Tyler discovers that landing the big plane takes practice. Season 3, Episode 8 - "Last Days"
Sparks fly when Joe discovers Gord has taken a job with a rival airline after completing expensive training on one of the Buffalo planes. Larry, a rookie rampie, makes a near fatal error while training on the C-46. A desperate search is launched for elusive C-46 parts. Season 3, Episode 7 - "Top of the World"
Season 3, Episode 6 - "Power Struggle"
Season 3, Episode 5 - "Big Boost"
Season 3, Episode 4 - "Gear Up, Gear Down"
Frustrated with her lack of flying and stuck in a rut as a courier driver, Audrey decides her time at Buffalo is over. Devan, Ian and Jimmy deal with a hydraulic fluid leak in the C-46 on the valley run, which forces Jimmy to crawl into the "hell hole" and crank down the landing gear by hand. Season 3, Episode 3 - "Chuck Walks"
Critical of the many stops and starts in the Electra program, and frustrated with the constant drama at Buffalo, Chuck quits. Joe clashes with the maintenance department when a series of delays puts the sale of an old Canso waterbomber in jeopardy. Mikey goes on an ATV hunting trip and Rod babysits his daughter, Emma Rae, while his wife Sasha goes to a wine gala in town. Season 3, Episode 2 - "Dambusters"
Season 3, Episode 1 - "Under New Management"
Season 2, Episode 13 - "Arnie Calls It"
While training pilots for the upcoming fire season, chief pilot Arnie makes an unexpected announcement. Joe and the whole McBryan family head to the Super Bowl of aviation - AirVenture Air Show in Oshkosh, Wisconsin. Season 2, Episode 12 - "British Invasion"
A potential Electra plane purchase in Coventry, England has Joe showing Mikey the ropes of international business. New dad Rod misses his daughter while away on a job. 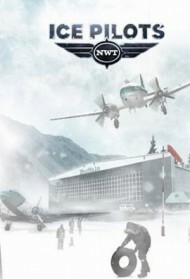 Season 2, Episode 11 - "Yukon"
When thunderstorms and a shaky engine threaten a charter to Whitehorse, Joe pulls out all the stops to get the passengers to their destination, while baby Emma Rae McBryan visits the hangar for the first time. Season 2, Episode 10 - "Special Delivery"
Chief pilot Arnie lands the DC-3 on a homemade sand strip at a remote lodge. Electra expert Chuck faces off with a stubborn power unit, and Rod's wife Sasha goes into labour. Season 2, Episode 9 - "Buffalo Scores"
Buffalo flies the Stanley Cup on a tour of the North, and a licence suspension has Joe looking for a captain to replace him on the passenger run he's flown for almost 30 years. Season 2, Episode 8 - "Ski Plane"
Young pilots AJ and Andrew get the chance of a lifetime to fly the DC-3 mounted on snow skis, and tension mounts across the company as Buffalo's Mackenzie Valley food mail delivery contract is up for renewal. Season 2, Episode 7 - "The Finish Line"
A multi-stop mission to the Far North pits Devan, Scott and Adam in an ongoing battle for fuel and oil as they circuit their destinations. Audrey goes on a northern adventure escorting a team of dog mushers to the 2010 Arctic Winter Games. Season 2, Episode 6 - "Don't Muck with Chuck"
Crusty mechanic Chuck scrambles to ready the Electra for a mission to the High Arctic, and former rampie Audrey returns to Buffalo and reignites the battle of the sexes. Season 2, Episode 5 - "The River Lift"
Buffalo launches an all-out campaign to airlift 100,000lbs of essential goods to cut-off northern communities, Justin helps a Mountie move and expectant parents Rod and Sasha show off their 3D ultrasound. Season 2, Episode 4 - "The Right Stuff"
Mikey goes on a Venezuelan treasure hunt for a rare CL-215 waterbomber, and new pilots Andrew and Graeme face their toughest test yet - flying with irascible boss Joe McBryan. Season 2, Episode 3 - "Under Pressure"
Roommate pilots Devan and Scott experience a mysterious rise in oil pressure that could destroy one of the C-46's engines. Rookies Andrew and Graeme face the test they've been training for – the chance to get "checked out" as DC-3 co-pilots. Season 2, Episode 2 - "Fire and Ice"
When a deadly fire destroys a northern outpost a week before Christmas, Kelly puts aside her personal dilemmas to rally Buffalo to the rescue. Scott and AJ face an onboard alarm. Season 2, Episode 1 - "Frozen Four"
Joe fights the feds while Justin and his crew are stranded in the High Arctic. With the plane frozen solid and a -40 cold snap on the way, can the crew stave off disaster? Season 1, Episode 13 - "Up in the Air"
Season 1, Episode 12 - "Change of Seasons"
Cargo manager (and unofficial Buffalo den mother) Kelly has problems enough when Jynelle's holiday leaves her shorthanded. But when her engineer husband Juan quits on the spot after a blowout with Joe, Kelly is left in a terrible position. Will Kelly stay - or will she go? Scott also gets bad news: he must stand down from flying so a rival co-pilot can be fast-tracked to captain. Scott pulls out all the stops to secure a new contract flying practically to the North Pole, which will get him back in the pilot's seat. But his rival is also interested in this new dream job - flying the C-46 to Eureka, a tiny research station at the top of the world. And after nine months of brutal work and tough luck, Jeremy sees light at the end of the tunnel. Buffalo needs a new DC-3 co-pilot, and contrary to expectation, he's getting a crack at it. But first, he's got to pass the test of flying with Joe. Season 1, Episode 11 - "The Crash"
Across the world in spectacular Izmir, after thousands of hours of painstaking preparation and life-risking flying, a terrible accident devastates the Turkey crew - and everyone at Buffalo Airways. In Yellowknife, the spring melt is well underway, and northerners are finding ways to celebrate, from checking out the melting waterfalls to racing jet boats onto the remaining river ice. It's also Wilf's first run as flight attendant on the DC-3 - for which he insists on wearing a shirt and tie to the consternation of the entire company. It's the final push Jeremy needs to move to HQ in Yellowknife. Kelly and Jynelle dig up a house-warming surprise that practically brings tears to the gruff rampie's eyes. But has the move come too late to do him any good? Season 1, Episode 10 - "Thin Ice"
Joe gets a lucrative late-season contract to fly mining equipment to an airstrip on a frozen lake, sending C-46 and DC-4 crews on a race against the spring melt. But conflict erupts between Devan and a senior pilot. And when the client reports an on-site incident, Joe goes on the warpath. Though Jeremy has missed a number of flight attendant classes, he's confident he can catch up to fellow rampies Audrey and Wilf. But too much confidence just may be a dangerous thing. And over the North Atlantic, Arnie, Justin and Cory press on to Turkey, even though they have only half of the spare parts in their plane. But there are some serious volcanoes and busy Mediterranean air traffic ahead. Season 1, Episode 9 - "Transatlantic Crossing"
Season 1, Episode 8 - "Cause for Celebration"
Season 1, Episode 7 - "Suspension"
Season 1, Episode 6 - "On the Move"
A charter flight falls through the cracks after the McBryans attend a wild family wedding, and an irate Joe pulls captain Justin from the Turkey test flights to do the job. Justin's task is to move an impatient Brit, his dog and all his worldly possessions to a remote northern outpost, but the weather isn't cooperating. Meanwhile, Devan ponders a job offer in Africa - leaving girlfriend Jynelle to ponder their future. Season 1, Episode 5 - "40/40/40"
Season 1, Episode 4 - "A Big Deal"
When a power failure leaves Rankin Inlet exposed to the brutal northern elements, captain Justin races to deliver an emergency generator. Ramp hand Jeremy tries to move ahead of co-worker Audrey by training a new hire from India to replace him. And when the recession nips at Joe's heels, he tries to broker a -million deal that could save Buffalo's hide. Season 1, Episode 3 - "Birthday From Hell"
Season 1, Episode 2 - "Pre-Christmas Rush"
Christmas is just around the corner, but Buffalo's crucial food and mail runs come to a halt. An engine seizure strands Scott, AJ and the C-46 plane, creating a chaotic chain reaction. Crusty mechanic Chuck must attempt a bare-handed engine swap in minus 30, and pressure from customers and co-workers pushes cargo manager Kelly to the breaking point. Season 1, Episode 1 - "Buffalo Air"